Dye chips for the use of your body care products. Made from all natural vegetable waxes. 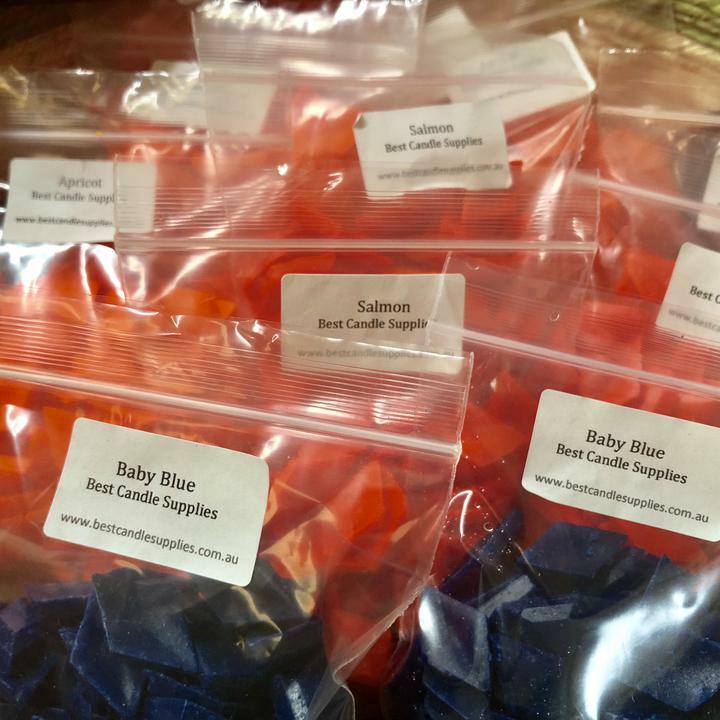 100 packs of dye chips available in: baby blue, bright saturn yellow, coral, lime green, magenta, salmon, shocking pink and skye blue. Please test these colour chips extensively before using them in your candle products.